myhouseremovals.uk has been online for almost two years now – hurray! It’s been a great ride, and though we love this space we’re always looking towards the latest look to make it as enjoyable as possible. We’re currently working on some fresh designs that we’re very excited to share with you. 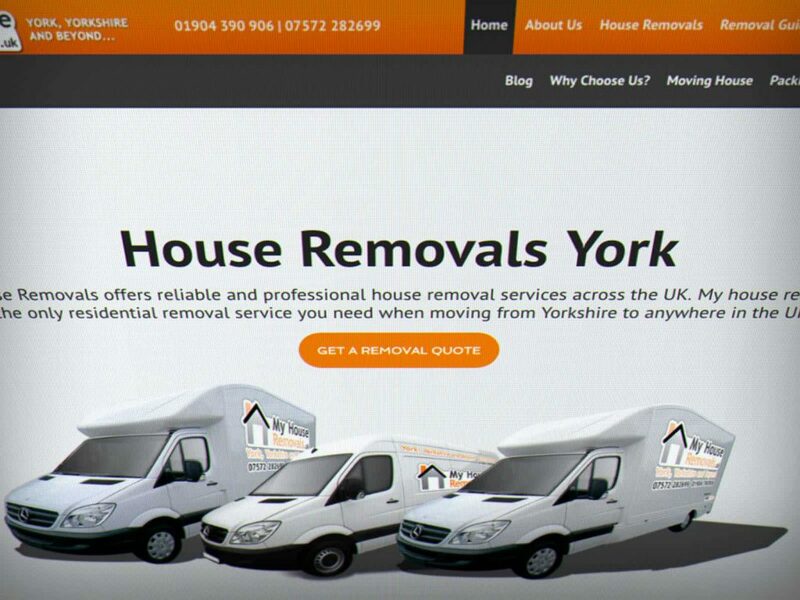 While that’s happening in the background, we thought it a good time to pause and reflect on what makes a great removal company website. Removal websites should not be all about selling; they should make the most of the company’s knowhow and impart that knowledge to the customer. Let’s be clear, we’re not talking about general web design or what trends happen to be current in 2016. Rather, we’re discussing the specific experience of browsing a website for somebody in our profession. Who are our customers? What do they need? What can a website possibly offer that makes their experience of moving house easier? Let’s find out. Who Is Browsing The Website? Moving house feels like you’re doing a thousand things at once. Some of you have the leisure of enjoying this blog, others just want a snappy quote. The enquiry form should therefore be easy to find, and offer all the necessary information for us to return with a price. Yes, it’s a little large, but having all the info in one place avoids having to go back and forth about the finer details. There’s lots to do in a house removal, and what better place to go to for advice than the very people who are going to transport you? Removal websites should not be all about selling; they should make the most of the company’s knowhow and impart that knowledge to the customer. We’ve crammed our site full of legitimate moving tips, and also use our blog to keep visitors entertained. We like the think that after booking, people stay here and takes notes from our range of articles. We don’t receive any extra money from this, but we do get a sense that we’ve helped. Removal men have a responsibility in handling precious goods, heavy furniture and objects of great importance to the family. The removals website should be as reassuring as it is persuasive. Sure, we can talk all we like about how long we’ve done this for, but sometimes what you really want to know is what do their customers think? A good removal company will be transparent about their reviews, and make sure customers can easily read testimonials. Wondering where ours are? Scroll to the bottom of this page and find out. So there you have it – a few observations on this industry and the decisions we’ve made. While the new My House Removals hums in the workshop, we’d like to take this opportunity to thank you, the reader, in making us one of York’s go-to resources for all things moving. Here’s to you!